Hellooooooooo! It’s been a while since we’ve had a Road Book out, but it makes its triumphant return today! How’s everyone been? 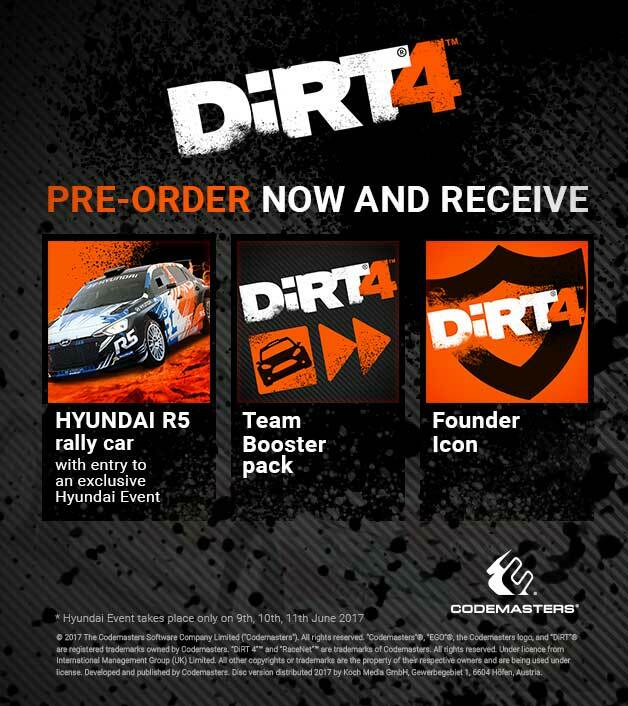 We’ve been getting pretty busy over at DiRT HQ, so as your friendly neighbourhood Community Manager it gives me great delight in giving you the DL on the last few weeks. The WRX DiRT Show Special! Of course, no DiRT Show would be a DiRT Show without the gang answering questions on a sofa somewhere – so stay with it right until the end to hear Chief Game Designer Paul Coleman cover all of the awesome changes we’ve made to Rallycross, with the help of Petter and Oliver Solberg and Cooper Tires. In terms of the new opportunities Your Stage has brought to the table, what are you excited about being able to offer players? Your Stage has opened up many opportunities for us as a developer and for the player experience. One good example of this is the ability to add more ‘straight’ sections into our tracks. In the past this has been avoided to a certain extent, because in order to try and maximise the amount of gameplay within the very tight track budget it was always deemed as a lesser feature. Your Stage now allows us the ability to show just what a feature section of straights can be – and not only can we add a few more straights into tracks, but we have control over how many and how long these sections can be. We can now have some sections of straights at different lengths, some around 1km long, and these often prove to be truly fearless sections of track. 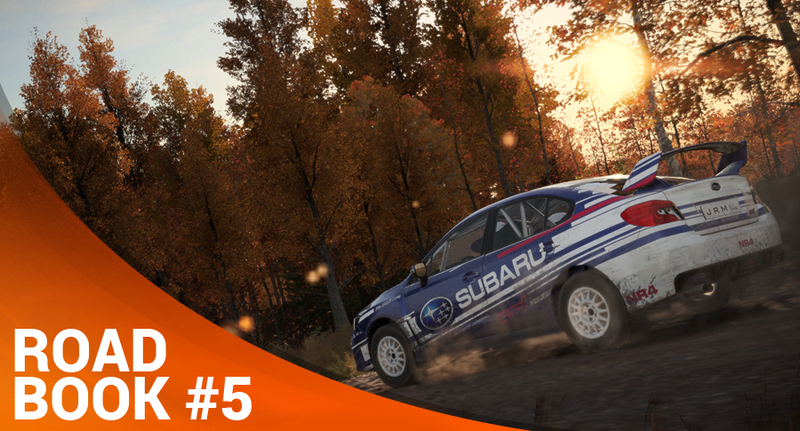 Their straightness encourages the player to go flat out, but the changes in the track surface, undulation, objects and trees keep the player alert – as the consequences of going wrong when flat out could easily end your rally. This provides a great new experience for the player that comes in all shapes and sizes but is always exhilarating; sometimes you look for your next corner as safe place to catch your breath. This system has been likened to an (albeit more technical) Scalextric track – how have the studio gone about ensuring variety within each different environment? Your Stage has not just provided solutions for us, but also brought its own difficulties. One of the key problems we had to solve was how to ensure we could create enough variety of corners, straights and junctions for each location that would be able to provide plenty of replayability and unique experiences for the player. 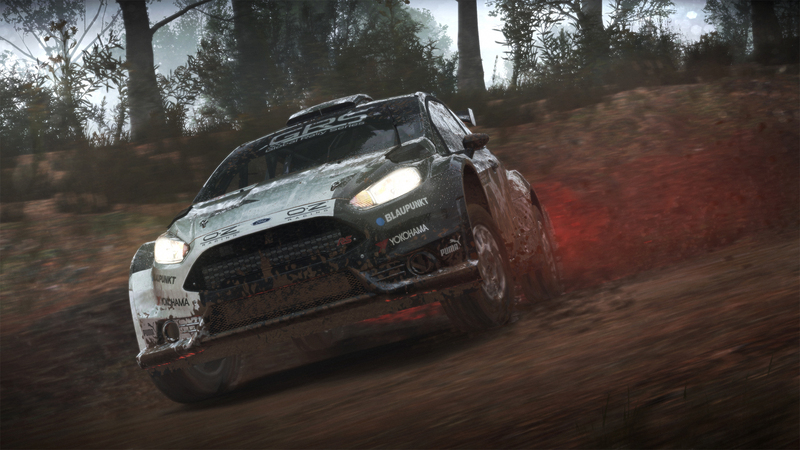 To achieve this we continued to research track locations to the same standard as you’ve seen in DiRT Rally, to maintain the level of detail required for a realistic experience. This ranges from us researching the track surface and edge details through the different road shapes, through to the experiences of racing within that location and environment. The corner sequences and gameplay detail remain a high priority as with our previous titles and with Your Stage we have been able to capture many of these unique elements for the different locations. So, using Your Stage technology we are able to bring a vast quantity of the elements that make up each of these unique locations into our game for the players to experience in huge variety of different combinations. Each section of track the player experiences has been processed by our Level Design and Environment Art teams, all based on the research to maximise the detail of the player experience. This system has an almost infinite amount of combinations of track, corners, junctions, etc – how have you used this to your advantage in the game’s Career Campaign? Another wonderful thing with ‘Your Stage’ is that we now have the ability to tailor and tune our game for a much wider variety of players than ever before. Built into the Your Stage technology are two key components that allow this to happen: length of track and complexity of track. With these two adjustments we (and the player) have control over the two main factors for creating a progressive game with a learning curve. The complexity covers many internal factors such as camber, corner severity, undulation, width and more. 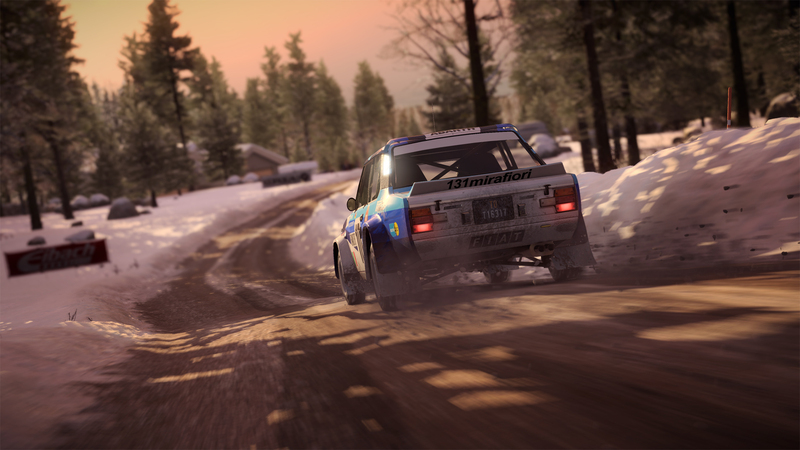 We now have the ability to create nice short tracks with simple complexity (more straights and shallow, visible corners) – and these tracks are ideal for introducing new and less experienced players to the world of rally. With the system being completely scalable we can then ramp this up to longer, less complex stages, short complex stages, and all the way to 16km technical monsters. Under the hood there is a lot more going on, and we have a huge amount of control over many additional factors including elevation and different rule sets that allow unique track construction per location. This means we can use the same system to make Spain feel like Spain, whilst Australia is made to feel like Australia, which is completely different in terms of stage composition. All this control and flexibility has allowed us to curate the career with different tracks that allow the structure to increase the challenge as you progress and develop your skills – something we’ve not been able to do in the past. 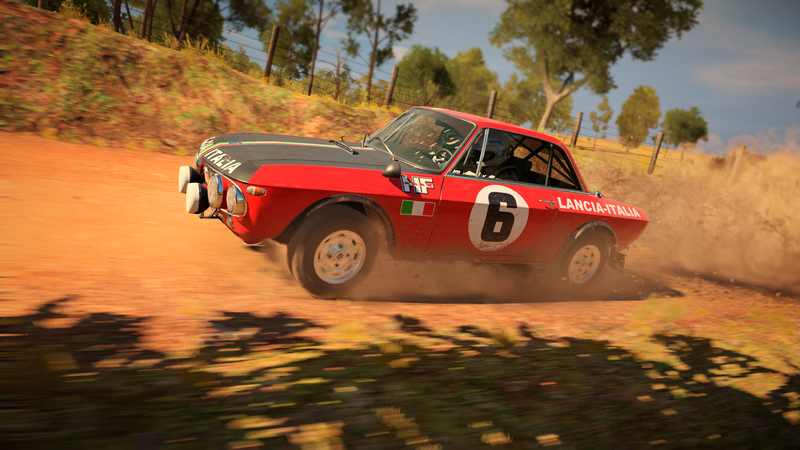 This presented its own challenges to us, but after much hard work the player should now get a much more in-depth, progressive experience from the Career Mode – as well as a colossal variety of unique tracks through the freeplay mode! What kind of work has Your Stage required from different parts of the studio to make it feel so authentic? The development of the Your Stage content has been a new and difficult challenge for all our content creators, and the results are testament to their skills, perseverance and the close communication between our various teams. From the initial designs, the crafting of road shapes and gameplay surfaces to the creation and detailing of the environment art, we have overcome many problems to create the authentic, seamless experiences. The Level Design, Environment Art and Tech teams have worked closely to achieve this and utilised mass quantities of real life research for each location. We have conquered the difficulties with some of the very specific requirements that needed to be met to achieve the Your Stage experience, and have processed more data than ever before. Integration into the different landscapes has also been a huge challenge –and this was one of the big things we needed to tackle to polish and complete the player experience. Many new techniques have been created to help – and despite initial teething problems the solutions developed are providing excellent results. As a result of the team’s innovation, their new techniques have allowed Your Stage to offer the full environmental experience for each and every track. Despite the content creation still being an expensive part of our processes we are now able to achieve a massive boost in value from our content whilst still retaining our superb attention to detail and feeling for being in a specific location. Overall, everyone in the racing studio has worked incredibly hard – and despite the challenges and problems faced, we have achieved something truly incredible. 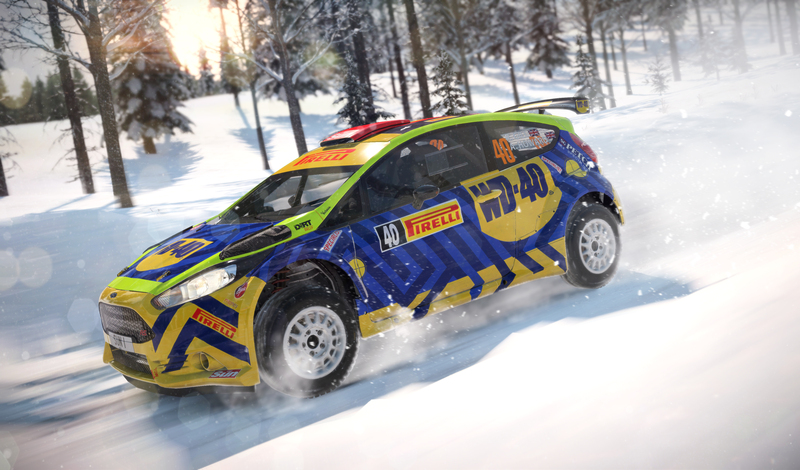 We believe Your Stage really is a game-changer for off-road racing games and there are many plans in place to further develop, improve and expand this technology. And that’s all from us this week – have lovely weekends, and we’ll see you back here soon!